amon Albarn was born to a hippy family in Leytonstone, East London. His mother, Hazel Albarn worked as a stage designer for Joan Littlewood's theatre company at the Theatre Royal Stratford East in London and was working on Mrs Wilson's Diary just before Damon was born. 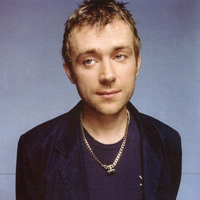 Damon's father, an artist Keith Albarn was mainly involved in TV arts programming and was interested in designing and making modern furniture. He eventually became the manager of art jazz-rock group Soft Machine. Hazel Albarn came from Lincolnshire and Keith Albarn from Nottinghamshire. When they had met each other, they decided to move to London to experience its wide cultural-scene. When Damon was growing up, his parents listened mostly to old blues, Indian ragas and African music. Damon didn't apparently like much of them. His sister, Jessica (an artist, too) was born in 1971. Damon was a relatively normal child. He was keen on football and his room was filled with the fossils. Since the age of six he has been wearing the glass beads, which he got from his mother. "They give me luck" he has later said. He was attending the George Tomlinson Primary School and at the later age moved to the Stanway Comprehensive School. Ten years after Damon's birth Albarns moved to Colchester, Essex, where Keith Albarn had got a new job. Around the time of moving Damon was spending three months in Turkey with family friends. When he came back he began studying violin and piano and got interested in drama. Because of his unconventional background he was considered weird and vain and often got called "posh stroke gay" at Stanway Comprehensive. "I was a weirdo", he recalls. At the time he was really keen on drama and took part in many school plays and quickly became one of the school's "stars". Damon was also interested in composing music and one of his compositions won a heat in the nationwide Young Composer of the Year competition. He has later claimed that classical composer Kurt Weill's music had a more effect on his musical development than any pop song writer. At the age of 12 Damon met a year younger Graham Coxon. "Your brogues are crap, mate. Look, mine are the proper sort" were Damon's exact first words to Graham. They both liked The Jam, The Human League, XTC and Madness and soon became the best friends. One of the first bands Damon was involved along with Graham was The Aftermath, which didn't get anywhere. The Aftermath's follower was Real Lives, where Damon was on the vocals and played the piano. The band made a few appearances in local pubs and clubs without any real success. In the mid-eighties Damon lost his interest to music temporary, concentrated wholly in drama, and moved to Debden to study at the East 15 Drama School. After a year he thought he was "the worst actor in the world" and decided to go back home. At the time he was very depressed and having a bad time. He took a part-time music course at the Goldsmiths College in South London, where he met Graham again and worked as a barman in London's Portobello Hotel. Later, he worked at the Le Croissaint at Euston Station in London and soon after as a tea boy at the Beat Factory studio, owned by Graeme Holdaway. At nights, he worked on his music at the studio. With the help of the Beat Factory he got involved in an odd synth-band called Two's A Crowd with Sam Vamplew. After writing a few songs, Damon withdrew the band and joined Circus in 1988. Circus was formed initially by Damon's college friend Tom Aitkenhead and Eddie Deedigan, who both quit the band later. Soon guitarist Graham Coxon, drummer Dave Rowntree and finally bassist Alex James were picked up to Circus. Due to Damon's accelerated musical development, Circus experienced many radical musical changes. The band evolved into Seymour, which later changed its name to Blur. Until around 1998 Damon had a relationship with Elastica's Justine Frischmann. He is now involved with an artist Suzi Winstanley. On October 2, 1999, they got a baby, named Missy. Damon Albarn and cartoonist Jamie Hewlett are the creators of the cartoon band Gorillaz; Damon writes the songs and provides vocals on the majority of them while Jamie directs the videos and draws the band. Gorillaz has been a big success around the world selling around 18 million copies of their studio albums. Their latest album, entitled The Now Now, was released in June 2018. Damon collaborated with classical composer Michael Nyman and recorded a soundtrack for Ravenous in 1998. A year later, he worked with ex-Sugarcube Einar Örn Benediktsson on the soundtrack for 101 Reykjavik. He also wrote and recorded tracks for Ordinary Decent Criminal and penned "Closet Romantic" for Trainspotting. More recently, Damon's Electric Wave Bureau group has scored the soundtracks for the British films Broken and The Kid Who Would Be King. Mali Music (2002): The album based on recordings Damon made whilst visiting Mali on a trip for Oxfam. Released through his co-founded world music label Honest Jon's. Africa Express (2006-): A unique collaboration project between African and Western musicians. Organised by Damon, the project intends to show Western musicians how rich the African music scene is. So far, there have been around twenty Africa Express shows in Europe and Africa. Western artists who have been involved in the project include Norman Cook, The Magic Numbers, Franz Ferdinand, Hard-Fi and many more. In 2013, the first ever Africa Express album Maison Des Jeunes was recorded in Mali. The yet-untitled follow-up album was recorded in South Africa in early 2018. Democrazy (2003): A low-profile limited edition solo record released through Honest Jon's. The album was compiled of raw demos Damon recorded on a four-track in hotel rooms during Blur's Think Tank US tour. Everyday Robots (2014): Damon's first proper solo album was produced by Richard Russell, the owner of XL Recordings. The album has been described as his most personal work yet and features guest appearances from Brian Eno, Natasha Khan and the Leytonstone City Mission Choir. The Good, The Bad & The Queen (2007-): Damon is the frontman behind The Good, The Bad & The Queen, the UK-themed album project with bassist Paul Simonon, guitarist Simon Tong and drummer Tony Allen. The group's latest album, entitled Merrie Land, was produced by Tony Visconti and released in November 2018. Rocket Juice & The Moon (2011-): A low-profile afrobeat/funk supergroup consisting of Damon, Flea and Tony Allen. Although officially announced in 2011, the group has been together since 2008's Africa Express gigs. Rocket Juice & The Moon's self-titled studio album was out in 2012. Monkey: Journey To The West (2007-2013): A Chinese modern opera featuring an eclectic score by Damon and visuals by Jamie Hewlett. The opera debuted at the Manchester International Festival 2007 and the album based on the score was released the next year. In the summer of 2013, the opera was revived for a three-week residency in New York. Dr Dee (2011-2012): Officially described as "An English Opera", Dr Dee is a stage show about the life of John Dee. Composed and performed by Damon Albarn and directed by Rufus Norris, it premiered at the Manchester International Festival 2011. The soundtrack for the opera was released in the following year. wonder.land (2015-2016): Damon's debut musical, wonder.land, was premiered at Manchester International Festival 2015. The musical is a very modern take on Alice in Wonderland and is directed by Rufus Norris. The soundtrack for the opera was released in the following year. Untitled project (2020): In the summer of 2017, Damon revealed that he will be working with the Parisian Théâtre du Châtelet for the next three years. In the 1990s, he worked with Matt Sharp on a Gary Numan tribute album and The Rentals' Seven More Minutes. Acted in the movie Face (1997) and lend his voice to a character in the Icelandic animation Anna and the Moods (2007). Fatboy Slim's album Palookaville features Damon's vocals on "Put It Back Together". Also, the last two Massive Attack albums - 100th Window and Heligoland - include his contributions. Damon has done production work for other artists. In 2008, he produced a few tracks for Amadou & Mariam's Welcome To Mali album. More recently, he has co-produced Bobby Womack's comeback album The Bravest Man In The Universe. 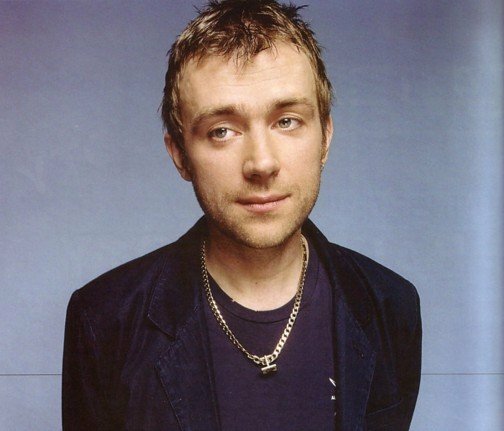 For the full list and details of Damon's musical appearances outside Blur, see Damon Albarn Discography. Song List also lists appearances outside Blur.